Samsung turned up at IFA in Berlin with some new things to show off, but not a phone—the Galaxy Note 8 was revealed last week. Samsung's IFA push is all about wearables. 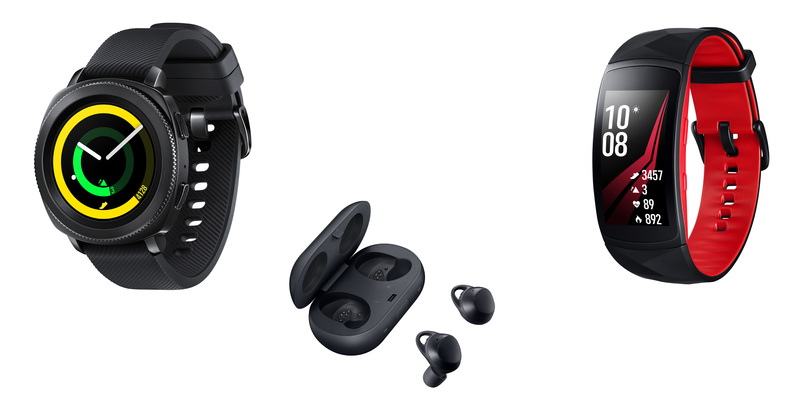 There's a new Gear smartwatch, a fitness band (thoroughly leaked), and a new version of the IconX wireless earbuds. Only the new Gear Fit has a price and release date, but the others will be in the not too distant future. The Gear Sport is a smartwatch similar to the Gear S3 from last year, but it lacks the MST portion of Samsung Pay. With just NFC to fit, the overall device is much smaller and more comfortable. It's MIL-STD-810G certified and water-resistant up to 5 atmospheres (about 50 meters). 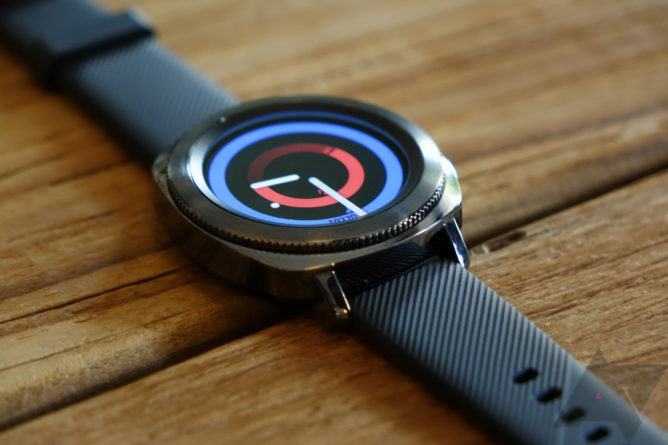 It still has that rotating bezel for navigating the Tizen UI, and a 1.2-inch AMOLED display. Included will be some new fitness features to track your calorie intake and usage through exercise (continuous heart rate tracking), fitness program sync with other Samsung devices, and swim tracking. This watch will come in black and blue colors, but Samsung plans to have a wide assortment of custom bands. Many of the same fitness features will be included in the refreshed Gear Fit2 Pro, which gets a stronger buckle to keep it attached to your arm. It can even be used for swim tracking and calorie estimation. However, the smaller screen limits some of the calorie tracking features. It is a slick little device with the narrow, curved AMOLED as in the last version of the devices. There's GPS on board as well. 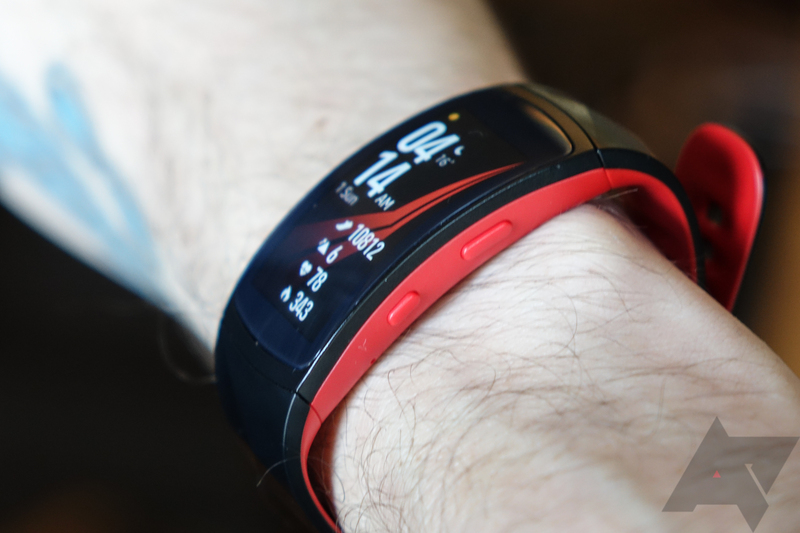 Both of the above wearables support new experiences with Samsung partners like Spotify Offline and MyFitnessPal. Samsung already made the Gear IconX Bluetooth headphones, but now it's making them again. Hopefully, it goes better this time. The old IconX only ran for 1.5 hours when streaming from a device, but the new one can manage five hours in streaming mode, and even longer if you load tracks onto the internal storage. There's also a case that charges the earbuds while you're out and about. The Gear Fit2 Pro is launching for $199.99 on September 15th, and pre-orders are going up tomorrow (August 31st) at 9AM.